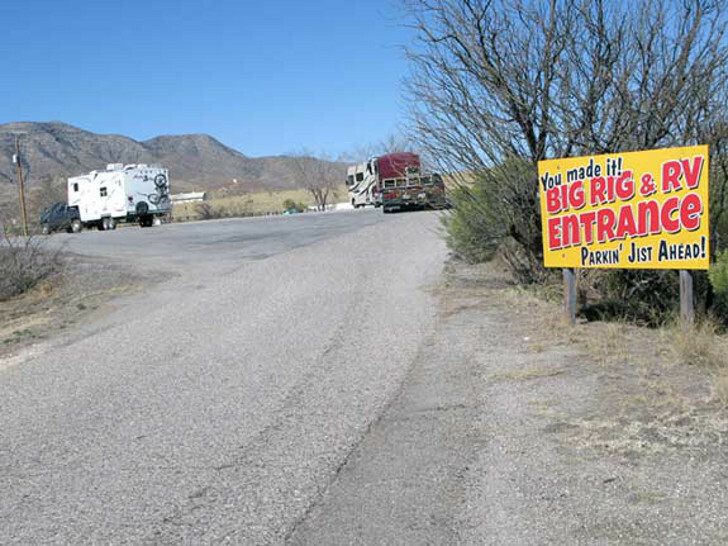 This Arizona roadside attraction survived the Internet and cynicism in the iPhone age. And it's still the best place to spend a dollar on Interstate 10. Long, boring highway drives can be excruciating even with the best electronic devices. 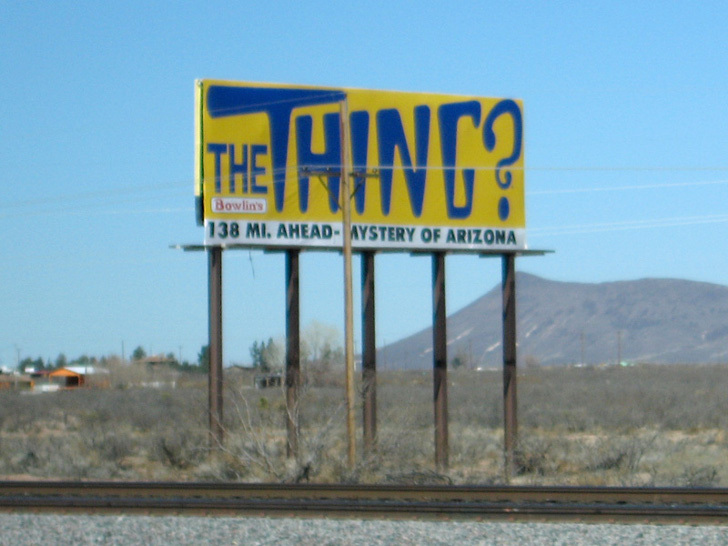 But one section of Interstate 10 in Arizona will occupy your mind for hours and keep you wondering: just what is that famous Arizona roadside attraction called “The Thing”? 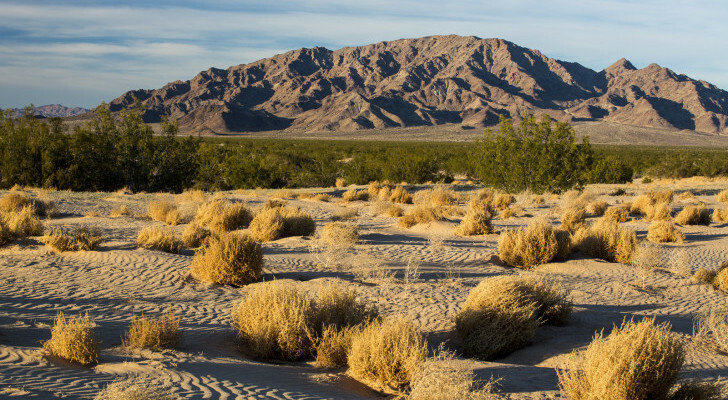 This Arizona roadside attraction will blow your mind! Bored minds conjure up crazy scenes on I-10. 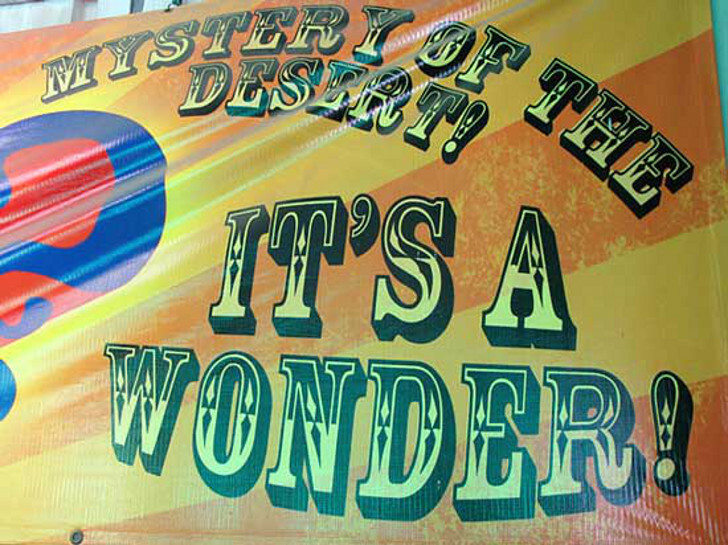 Like a sideshow barker following you along that dusty 200-mile stretch between El Paso and Tucson, the billboard’s only goal is to bring drivers into one of the oldest continuously-operating roadside attractions in Arizona. And since 1964, those giant ads have worked well. For just $1 you can satisfy your curiosity. 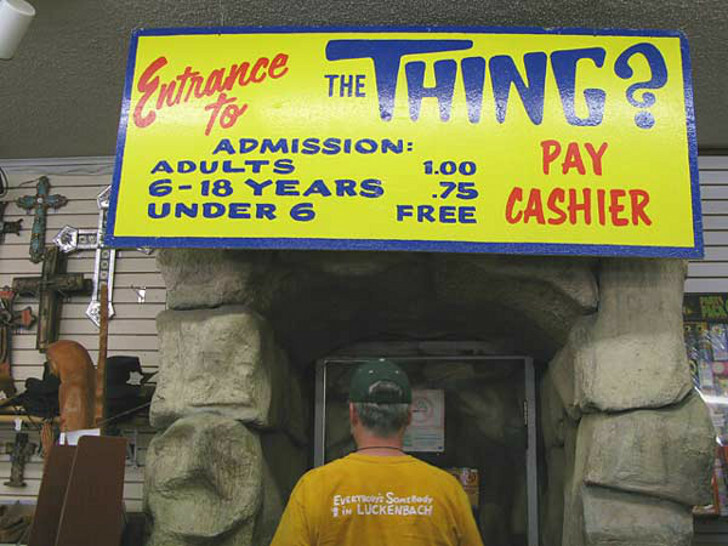 Nobody seems to know for sure how many road trippers actually do exit to see The Thing. However widespread guestimates throughout the Internet say that every day at least a few hundred drivers will pull over in search of answers – and a bathroom break. 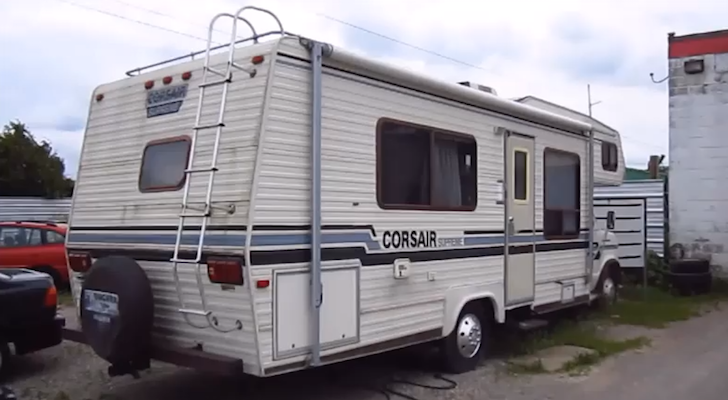 Bonus: The Thing’s parking lot is RV friendly! 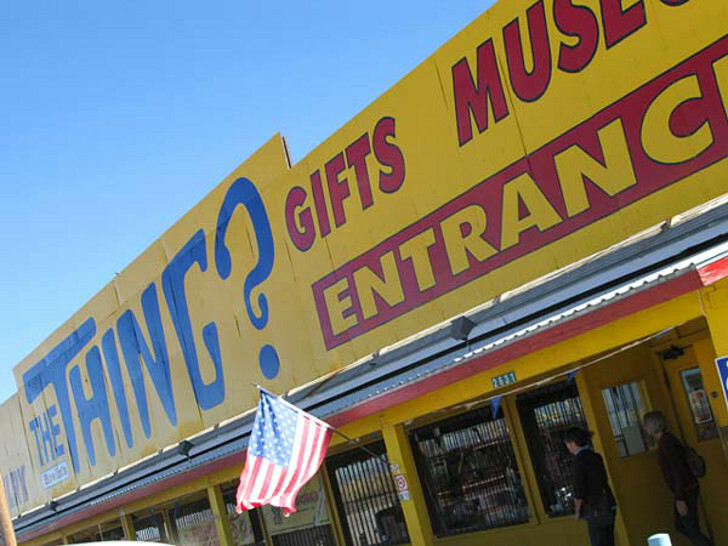 The Thing is a great Arizona roadside attraction success story – and one of the most enduring in the modern world. It began in the late 1950s when a couple named Janet and Thomas Binkley Prince acquired a creepy stockpile of artifacts, including the main attraction that came from Homer Tate, one of the most well-known sideshow curators of the time. Handmade sideshow freaks can still bring in the crowds. Known worldwide for his bizarre creations like “Cannibal Tom,” Tate handed over the mysterious oddity to the couple, who sensed it was the key to attracting visitors to their roadside curio shop. During a time of giant killer tomatoes and invading Martian men, their bet paid off: people came from every direction to see the freak behind the curtain. 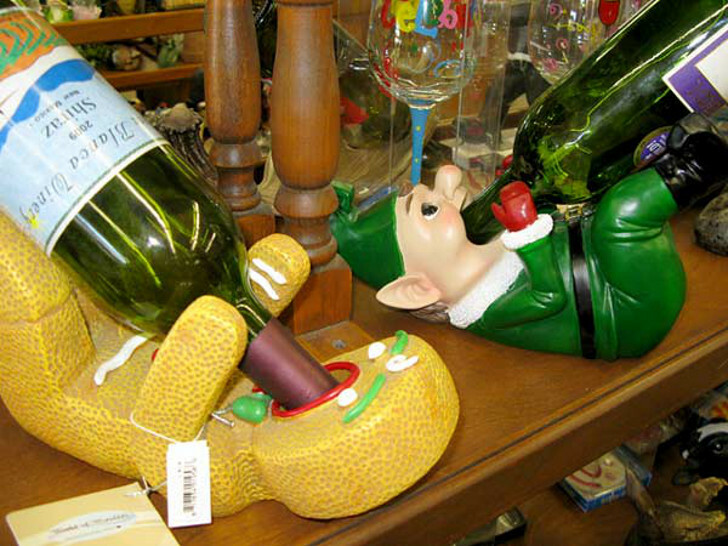 Like a train-wreck, you just have to look. The Thing originally debuted in California’s Mojave Desert but got shoved aside in the late 1950s when the freeway was widened. The Thing was quickly moved to Arizona where it’s been drawing visitors ever since. Knowing perfectly well that bored minds can create all sorts of wild scenarios, the caretakers of The Thing easily captivate weary travelers with simple billboards that let their brains run wild with expectations. 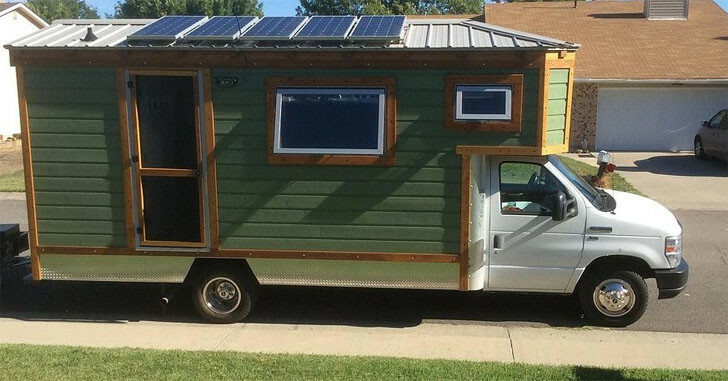 When they finally arrive, they’re greeted with an assortment of modern oddities too. 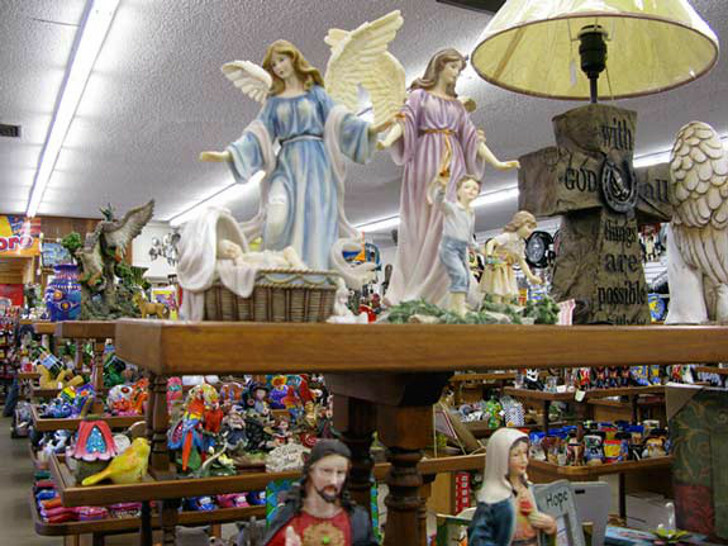 Satisfy all your religious artifact needs at this Arizona roadside attraction. 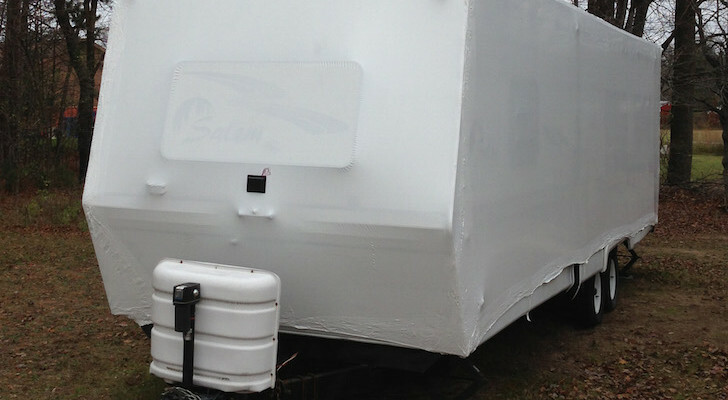 For decades you had to actually pull over to see all that lay behind the curtain. But times have changed and the invention of the Internet finally let the cat out of the bag. Thankfully, not everyone’s ready to hand over their childlike sense of wonder and people still stop every day. The curios are weirder than The Thing! You can do your own research to tour all of the hokey artifacts inside The Thing – we’re not going to spoil it for you. 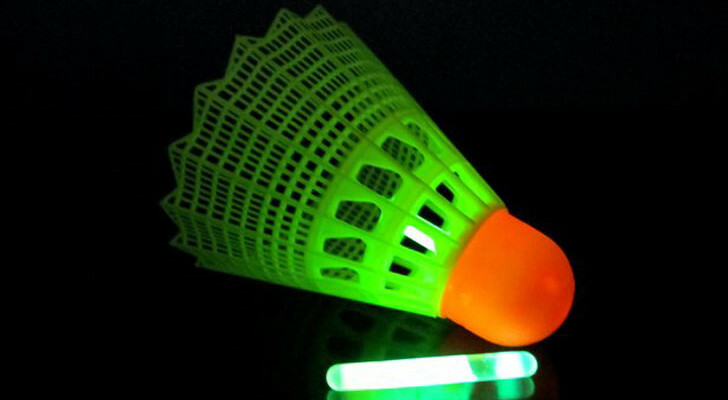 But if you have a sense of adventure and a dollar in your pocket (75 cents for kids! 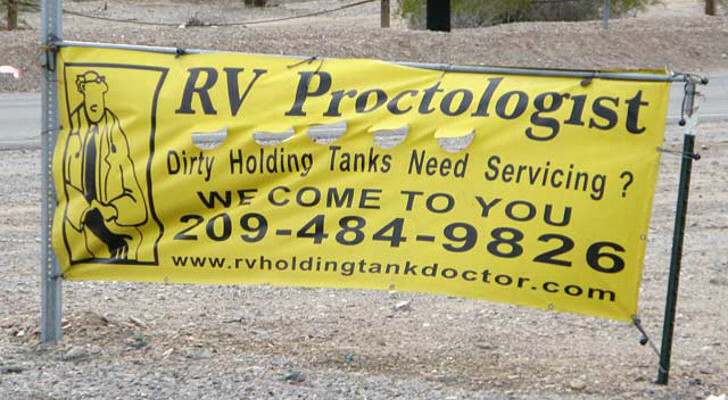 ), make it a point to stop at this Arizona roadside attraction. There’s nothing else like it in America – or at least between El Paso and Tucson.